I've been working pretty much nonstop the last wee while. Me being me, the hardest part of all this work has been putting on my head-to-toe black uniform each day!! People have been coming the shop with their summer clothes, frappacinos and scarlet sunburn - and i've spent weeks being JEALOUS!! But today I could finally pop on some summer clothes and get working on my tan :-) My Mum commented "it's the nicest thing I've seen you in for a while...." Not sure if that's a compliment or an insult?! The top, skirt and belt are all from River Island. I bought the top a couple of weeks ago in the sale (£25 down to £15), then went in on Wednesday to discover the skirt had been added to the sale (£35 down to £20). I loved the shape of the skirt, high waisted and full - a good "twirley" one as I would have said when I was younger! The shoes were £6 from Primark, and the earrings were an Accessorize 70% off bargain at £2.25. 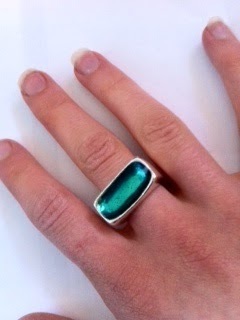 I'm wearing it with this oversized turquoise stoned ring - a holiday present from Greece after nonstop begging my Dad! Think he just got it to shut me up.... but hey, it worked! 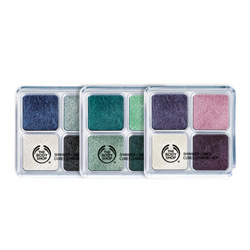 Makeup wise, I've gone for the new Shimmer Cubes, launched last Friday from The Body Shop. The 4 colour blend really nicely together to really open up the eye and give a nice subtle shimmer. The cubes are £16 for a set of 4 colours- but you actually get £96 worth of eyeshadow in them, because the cubes are so thick. So they literally last forever - I got the bronze set for getting a good report card in P6 (i've always been into my makeup!!) - and i still have and use them to this day! Thinking about it, I probably should throw them away now though, yuck. You can apply the colour with the Vitamin E Face Mist , spraying the actual cube to change it to a creamy texture, giving a much more intense and dramatic look. 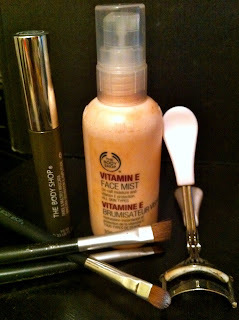 The face mist is also great to use after applying your makeup - a quick spritz just sets it for the day. 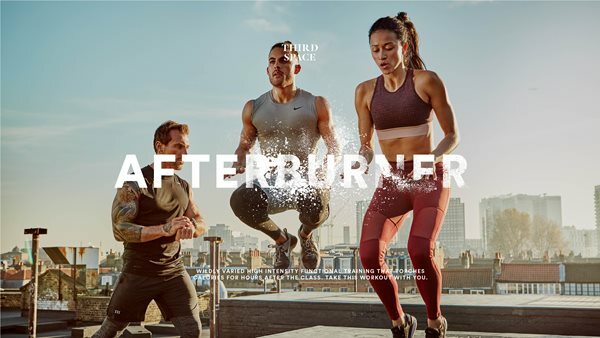 Looking forward to it arriving!